This page is just a list of the books I read in 2011 with a brief description and a link to my longer review, if I’ve written one. Also as a side note, for those of you curious how we afford to read 100 or so books between the two of us, we both read on the amazon kindle , and the VAST majority of our books we get for free (thanks to ereaderiq) or through the public library lending, and we purchase only books that we are seriously interested in. This book is largely about asking the right questions as you prepare to speak. It reemphasizes the fact that as the speaker you need to know what your listeners want to know. In sharing your ideas – whether it is a business meeting, sales pitch, conference lecture, or sermon – part of your job as a speaker is to make sure you’ve answered the “So what” question. It wasn’t a long book, well written, nothing particularly novel about it but one of the key points that separates good speakers from average speakers. This is a book about what life as a Christian should be like. Grace is not just for salvation but it is for life after salvation as well. This is a great reminder for those who are prone to ignore the transformative nature of grace. Not the most highly recommended because of an overall shallow treatment of scripture and some disagreements on application. This is primarily a book about the benefits of reading and thinking deeply about scripture. It confronts two abuses that many have on this topic. One, the danger of anti-intellectualism, that rejects deep thinking. Two, the danger of intellectualism, that overly prizes deep thinking. Both should be avoided but not at the cost of thinking deeply to understand scripture. Does religion matter in global politics? Don’t we live in the secular, modern world? Well then why are we talking about religion? This book argues and then responds to the fact that religion does matter in politics. Going beyond just if people are religious this book looks at how religion influences their actions in ways from terrorism and civil war to peace brokering and transitional justice. They look at two factors that largely help to explain why religious actors do what they do – 1)political theology 2)relation to the state structure. Really enjoyable and compelling book. An in-depth history of Turkey with a particular focus on the end of the Ottoman Empire up through the mid-1950s. Written from an outsider scholar’s perspective it is more critical (critiques, not necessarily negative) in its treatment of history than some accounts have been. Written more on a scholarly text-book level than an easy read but good for digging into the details that have led up to the modern era. An enjoyable read that combines football and counter-terrorism into one fun story. Not the most complex plot line but a fun read. It is Christian fiction and presents why the authors have put their trust in Jesus Christ and how that is a different way of living than what is taught in Islam. This book is analysis to a survey conducted of 1800+ of the “Millennial” generation (as the authors label those born in 1980-2000). It gives some really interesting statistics about who this generation is, what they are interested in, and what drives them. While I would not say it is the definitive study it is certainly enjoyable to read and will give you some insight into how this new and largest generation is made up. To be honest I am not too familiar with the background of this book, it is a collection of shorter articles written in the 1950s-60s I think. It is a challenge to personal revival that comes from a desire to every day and in every action live in obedience to the Bible and in fellowship with the God of the Bible that is possible through the grace of God. It really is a challenging and a rather short read. This series has fast become my favorite fiction series. I am anxiously awaiting the final book to be released next fall. I’ve really enjoyed his writing. The characters are well-developed in my opinion. The plot is well-constructed. It is just a really good read if you like fast-paced crime thrillers. There is the portrayal of violence and other potentially objectionable material, but the author does not glorify it and clearly deals with it as wrong – and this adds to the development of characters throughout the series. So to be honest I have not read very many economics books. I’m interested in the subject and enjoy it (economist.com is bookmarked and I have the app for my iPod) but just not as well versed on the topic as many others. This book, which is written by two conservative economists, one of whom served for a time under the George W. Bush administration (and is critical of some of the decisions made) offers analysis of many of the current trends in Washington and their effects on the U.S. economy. Their system is based on factors that drive GDP growth. They cover a wide range of topics and show why current plans are failing and then offer their blueprint for what should be changed. A fine suspense/thriller type book with a Middle East based terrorist attack on the United States. Perhaps just because I have read a lot in this genre the plot seemed a little tired to me. The author does add in a few different twists. His characterization is fine. Not outstanding, but overall it was an enjoyable read. I really benefited from this book by Stephen Kinzer. He is a historian and political thinker who knows how to craft a story. He delves into the history of the region and shows how the United States shares common values and even interests with both Turkey and Iran. His goal is to provide a framework for “Resetting” American foreign policy in the region that makes sense today and is rid of the vestiges of the Cold War. Interesting Read! A fictional portrayal of what America could look like in the future were policies to continue on a path that limits freedoms that were once considered fundamental rights as American citizens. While the story line seems a bit extreme it is effective in making its point. Essentially it is enjoyable read that is also a cultural critique and a call to be aware that your rights are not guaranteed but must be intentionally preserved. A great overview of church history aimed at young readers. It is an interesting read that focuses in on the lives of various individuals throughout church history. It is centered around the theme of how the Bible was written and then translated into various languages and spread around the world. A book primarily written to Christians, though anyone with genuine questions about what it is that Christians believe will find it profitable. 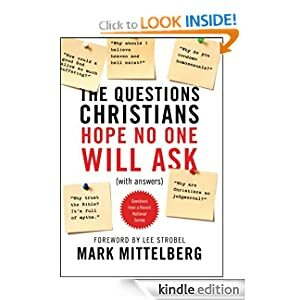 Mark Mittelberg is a Christian apologist. He conducted a survey among Christians about the questions they felt least confident in answering. This book was born out of that survey. The answers are well thought out and formatted in a helpful way. 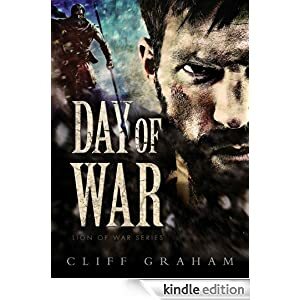 This is a biblical/historical novel written about the lives of David’s mighty men. It is a really enjoyable way to jump back into the biblical world of the Old Testament. While there is obviously a certain amount of artistic license taken with a work like this I really felt it was a beneficial book. I felt like I could begin to understand these biblical figures as real men rather than “storybook heroes” or stiff “churchy” types. They were warriors. They were husbands. They were fathers. They faced challenges and struggles just like any of us might. I’m looking forward to the rest of this series. An autobiographical look into the very heart of the Israeli-Palestinian conflict. 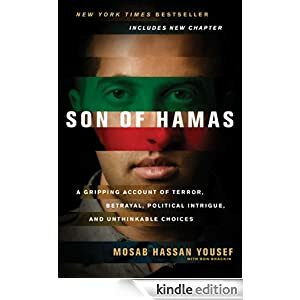 Mosab is the son of one of the founding members of Hamas. His family was in the heart of the action during the Infitada. His story includes imprisonment in Israeli prisons, Palestinian prisons, a role as an informant for the Israeli secret service, and finally his interaction with Christians and his story of becoming a believer in Christ, and leaving his homeland behind. If you are interested in a personal look into the inside of this conflict it is an engaging book. A NCIS investigative novel. Enjoyable quick read. A thorough introduction to Calvinism. Looks into the historical development and background. It is especially helpful for expounding what the Calvinistic world view is and moving the discussion beyond simply the Five Points that Calvinism is generally limited to. Really interesting and enjoyable novel about World War 2. A group of young economists get entangled in a plot of global proportions. Aimed at younger readers (12-17). The first in a series set in America around the era just preceding the American Revolution. Collected essays from Sinclair Ferguson wrapped around the theme of the Gospel encapsulated in the theme of In Christ Alone.